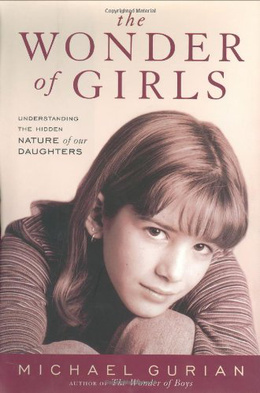 I just finished two terrific parenting books: The Wonder of Boys (1997) and The Wonder of Girls (2002), both by Michael Gurian. They are the best parenting books I've ever read, and I've read quite a few. They're unique because they focus on the developing biology, hormonal system, and brains of children. Each book stresses how different the two genders are. The French have being saying forever, vive la différence! Gurian draws on science to explain the essential differences. Boys and girls mature at different rates, think differently, feel differently, socialize differently and learn differently. Parents really need to understand these things, so they have realistic expectations and can fulfill the needs of their children. If you're raising children, I strongly encourage you to become one of the parents who have this information. Gurian's books are the kind that introduce knowledge. Books are great for acquiring knowledge. On the other hand, some books have the purpose of introducing skills. An example is a parenting book I read recently, Coach Your Teen to Success: 7 Simple Steps to Transform Relationships, by Barbara McRae. In it she describes several coach-style interaction skills. I believe in the parent-as-coach approach. If parents can acquire and use coaching skills with their adolescent children, it can have an amazing impact on their behavior, the parent-teen relationship, and how well the child matures into a responsible, happy, successful adult. Communicating any other way is what creates the angst, issues and alienation we typically associate with teenagers. But I'm sorry. Reading this book isn't going to do much for you. You can learn knowledge from a book, you can even learn what to do, but you can't acquire skills from a book. Knowing what to do and being able to do it in the real world are two different things. Parenting knowledge and parenting skills are two different things. Parenting skills are no different from any other other skills. For example, you can't acquire tennis or golfing skills by reading a book. Reading a good book about it may be a good first step. You can acquire insights and learn about techniques, but until you practice the skills at length, they won't improve and your game won't change at all. You have to put the book down and pick the ball up and get involved in months of practice. This is because when dealing with tennis balls or golf balls or kids, in the world of action you don't stand there and think to yourself, "Let's see, what did the book say to do in this situation?" No, when life happens to you, most of the time your skills and habits will kick in. Reading is fine. But only practice, practice, practice can set you up with the skills you need to react well in a real-world situation. So the next time you read a good book, remember that. Is the purpose of the book to get you to understand something? Or does the author recommend that you do something? If it's the latter, you can finish the book, love the book, and even rave about the book. But when life comes at you, without a considerable history of practical application under your belt, you won't have the wiring to do what the books says.